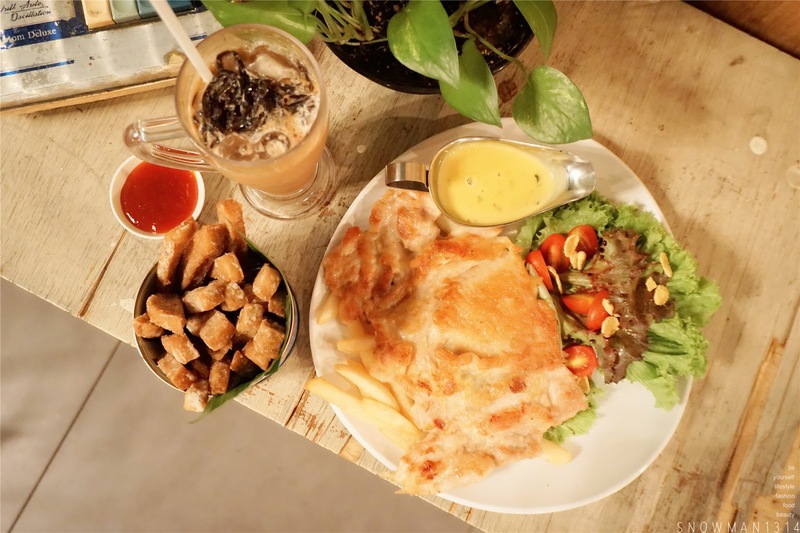 Today will blog about a back to childhood cafe at Mid Valley. When we are a kid we always wanted to grow up faster, but when we are now growing up and we always miss childhood memories. When I visit Reminisce, it definitely brings back a lot of my childhood memories, the games we use to play and the time we no need to worry about the life of adults. Definitely, missing school time and the games we always play with friends in school too. 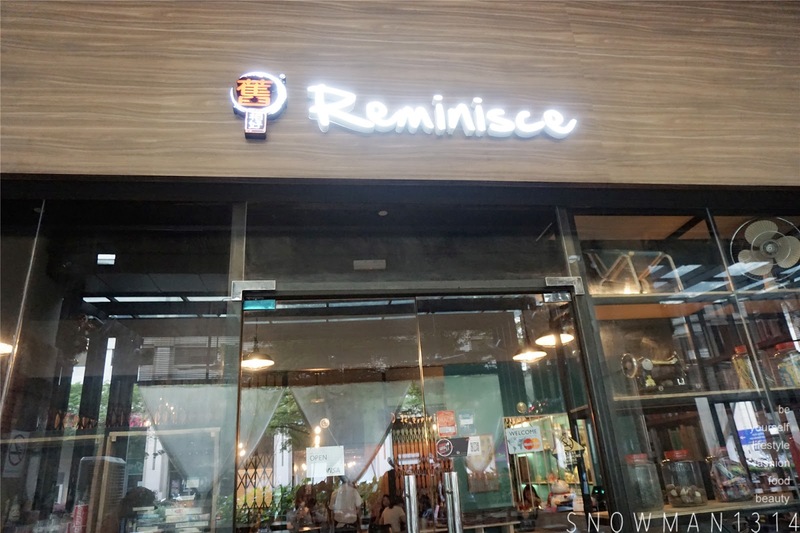 Reminisce recently just renovate their cafe. 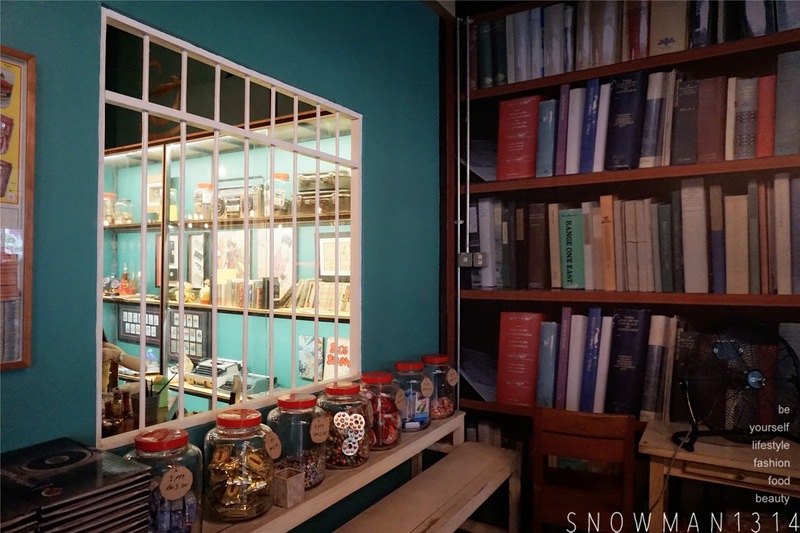 The whole interior of the cafe is very cozy and chilling too. 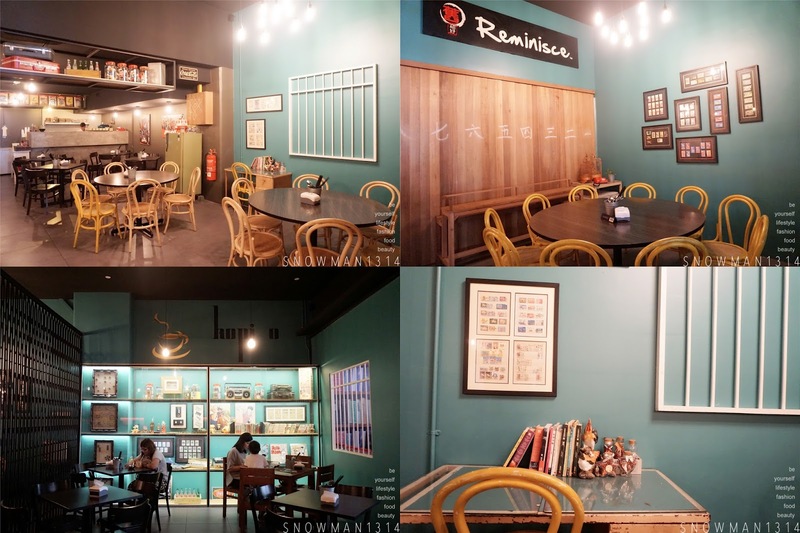 It's time to go back to our Childhood Memory through Reminisce Cafe. 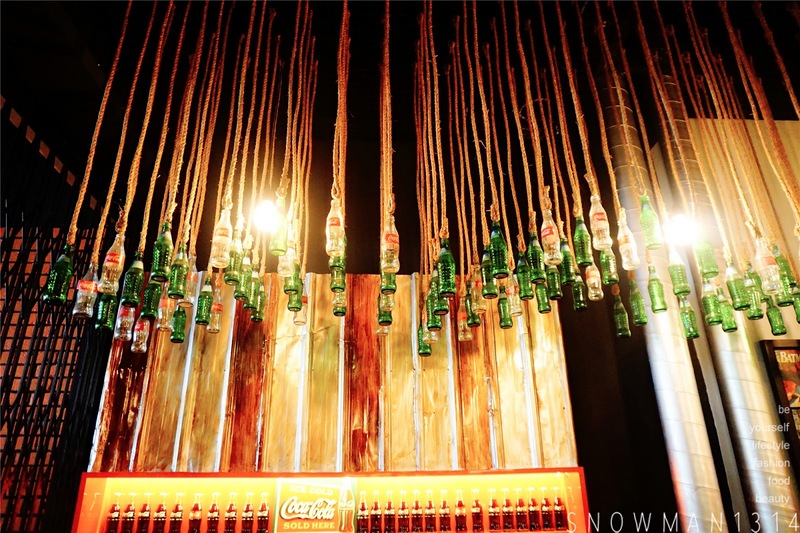 Love all the empty coke bottle hanging on the ceiling. 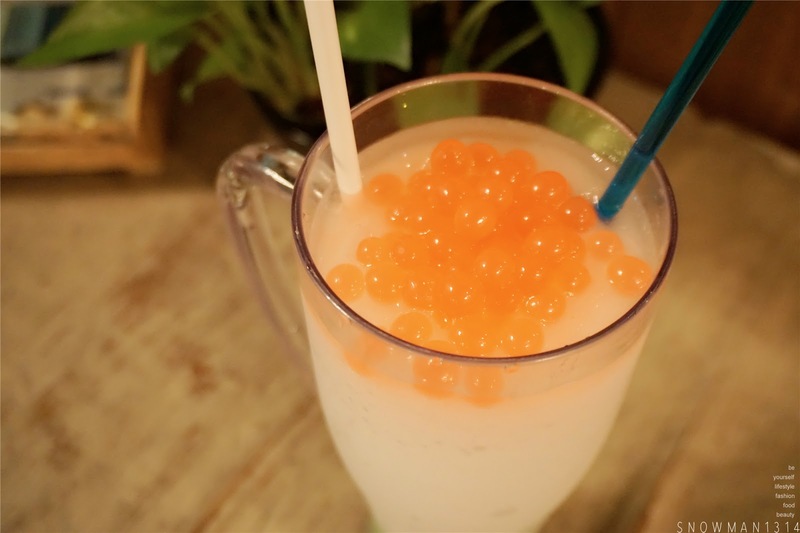 Icey soursop blended with popping jelly. Sour and Sweet combination of a drink! I was totally into this drink. Normally I can't take too much caffeine but this drink just tastes it the right caffeine for me. 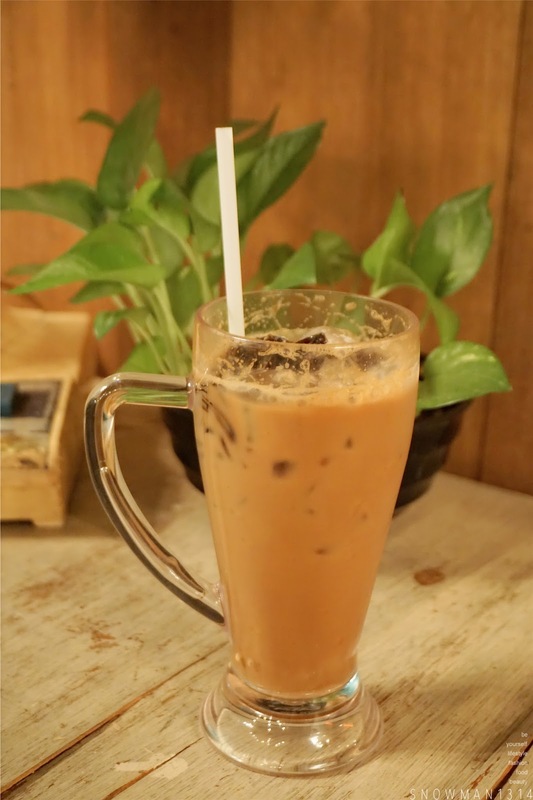 Apparently, this Ying Tong is many favorite drinks too. 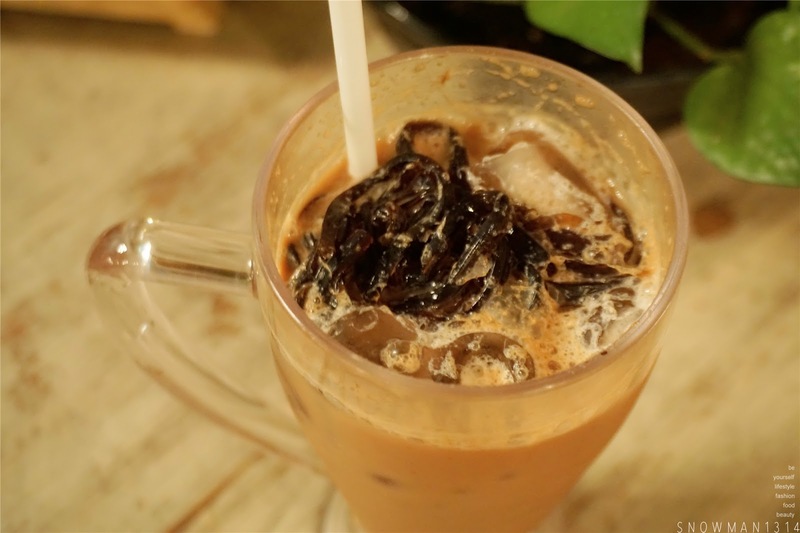 Soya black “cincau” drink with homemade soya jelly. 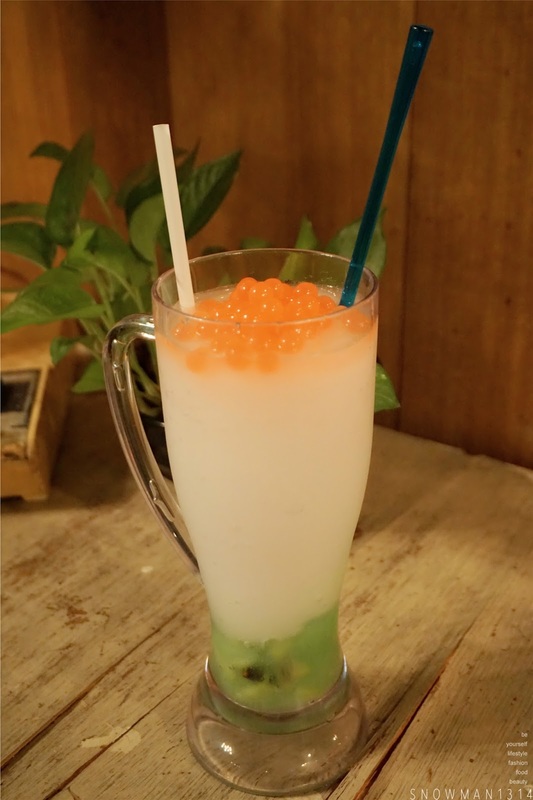 Another drink that are worth to order! The soya jellies are handmade and were pretty filling too when you eat up all the soya jellies. 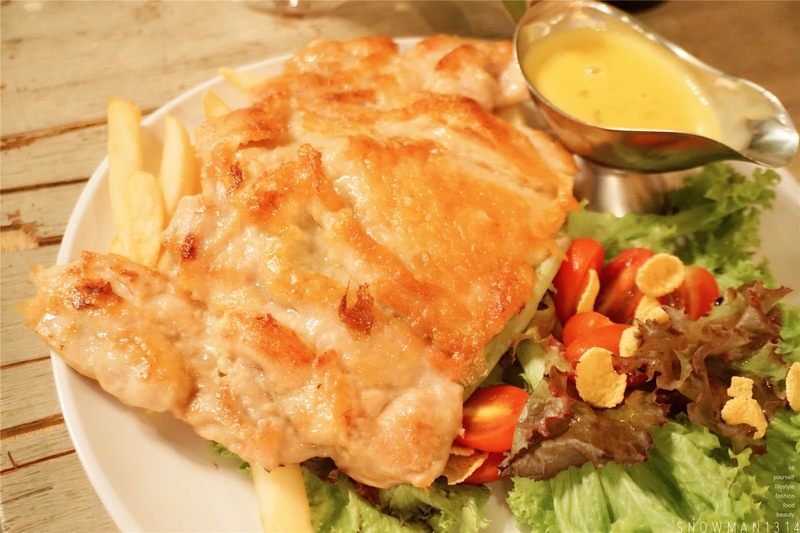 Signature-pan fried chicken chop with pumpkin gravy. Love how crispy the outer of the chicken chop! 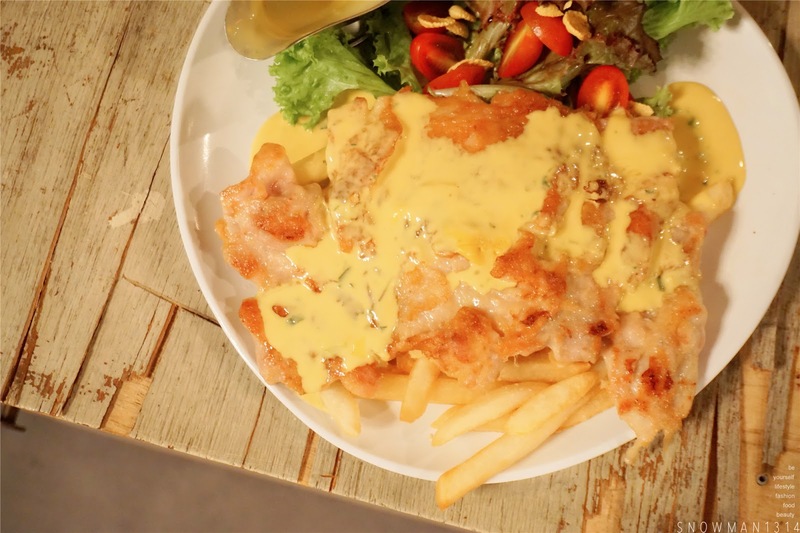 Gold crispy outer is the attraction of this dish. You can see that the portion is really big too, feeling so full when I see this serving. 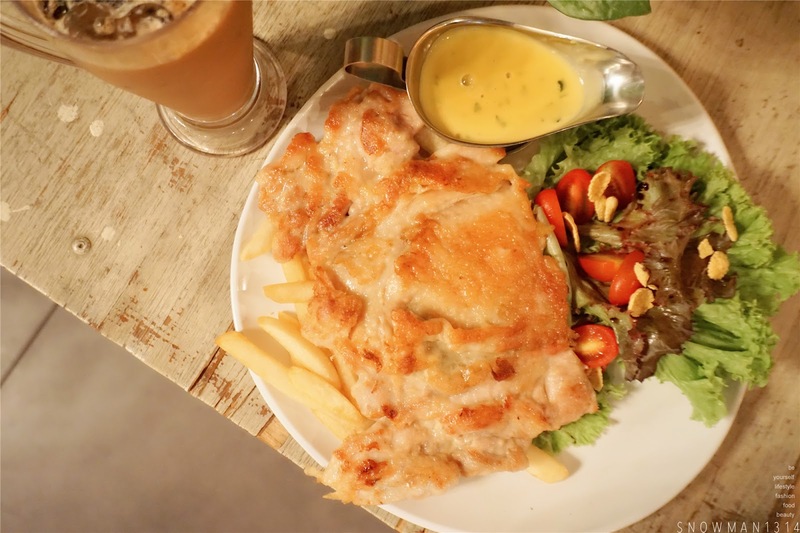 Not forget that this chicken chop comes with pumpkin gravy too! It was my first time pairing Chicken chop and Pumpkin Gravy, the gravy is not too strong but gives a buttery cream pumpkin sauce. Deep Fried Porky Luncheon Meaty. Highly recommend to all who love luncheon meat! 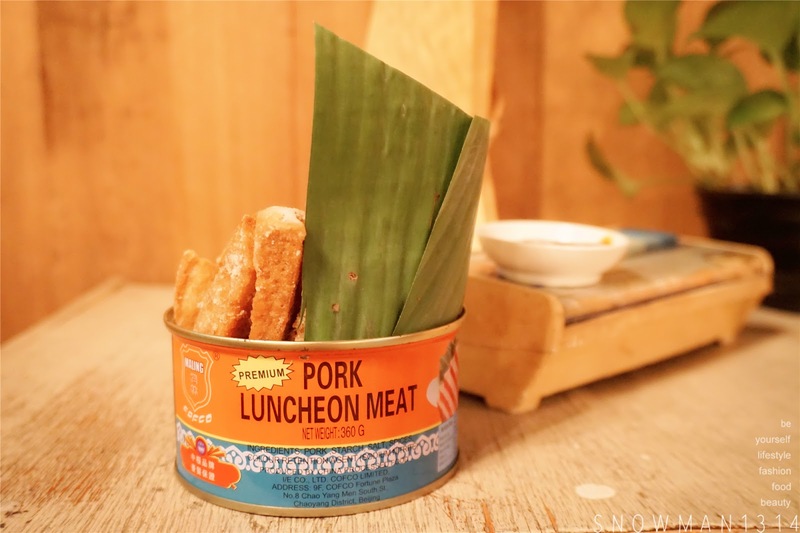 Even you are not much a luncheon lover but this snack is really addicting because you can't stop eating this when you started. This serving is not oily at all but it just so crispy to eat. 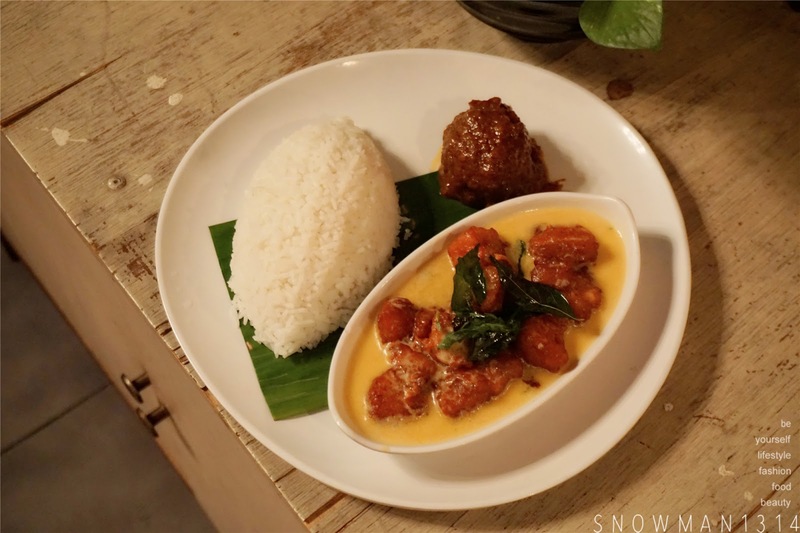 Butter pork belly served with steamed rice. Butter + Pork Belly is such a guilty and heavy meal to eat! Love the pork belly which is really chewy. Love their generous serving of the pork belly too. 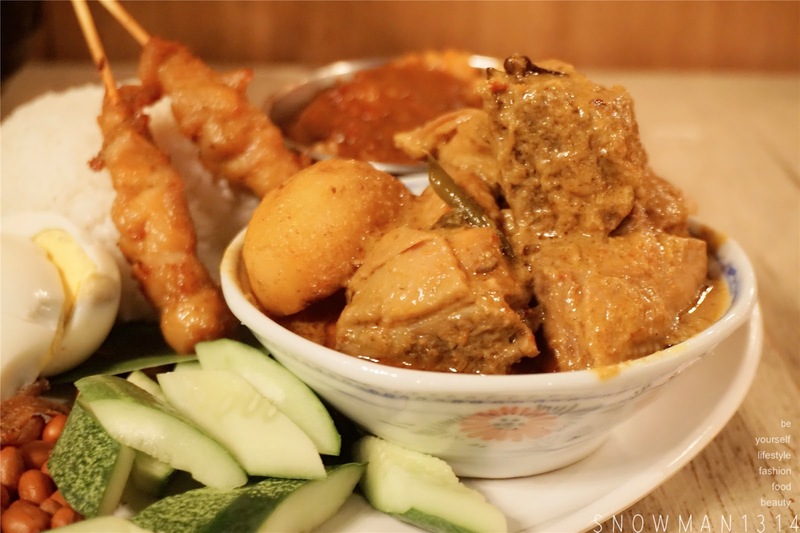 Our “nasi lemak” with curry chicken, sambal squid & chicken satay. 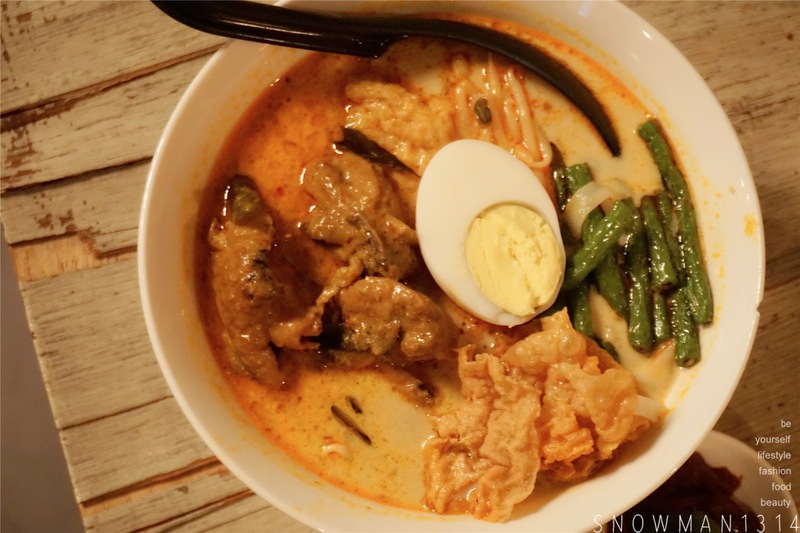 Who is a nasi lemak lover here!! Look at their generous serving of the curry chicken and the whole plate of a dish. 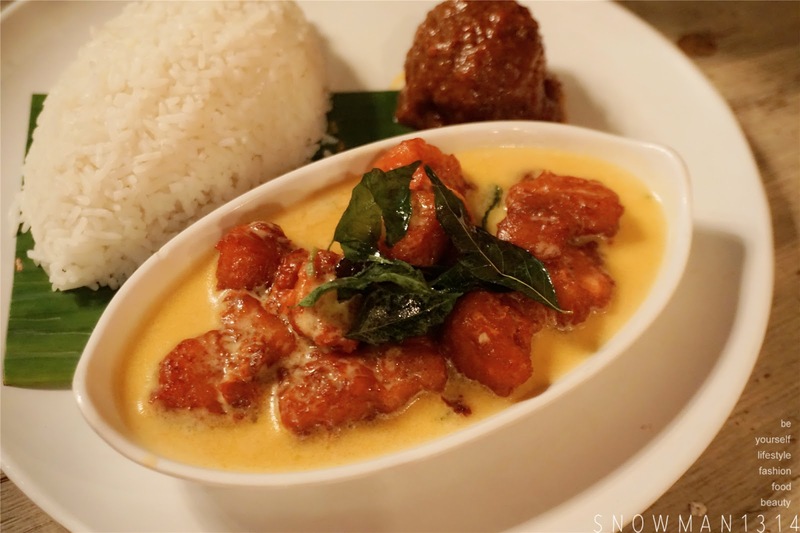 Their curry chicken is cooked to perfection with santan fragrance and was not too oily too. Whereas the sambal squid is so delicious, the squid was huge and chewy! 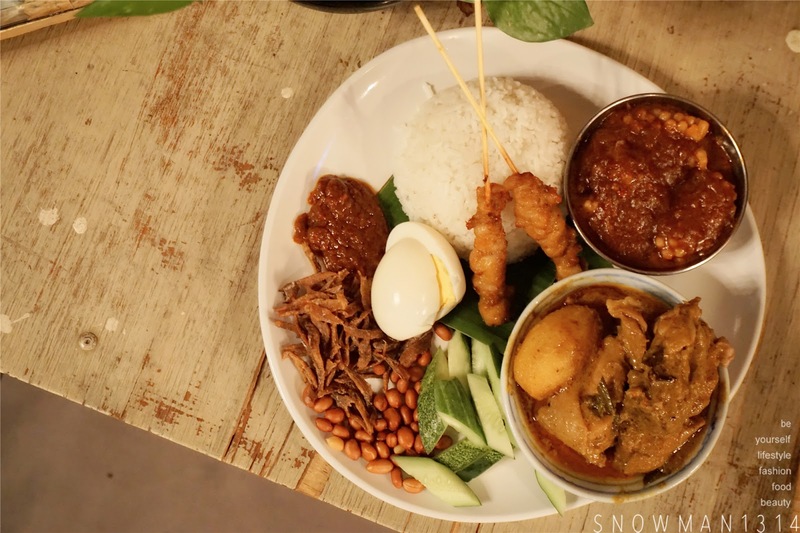 I started to miss this huge serving of Nasi Lemak from Reminisce. 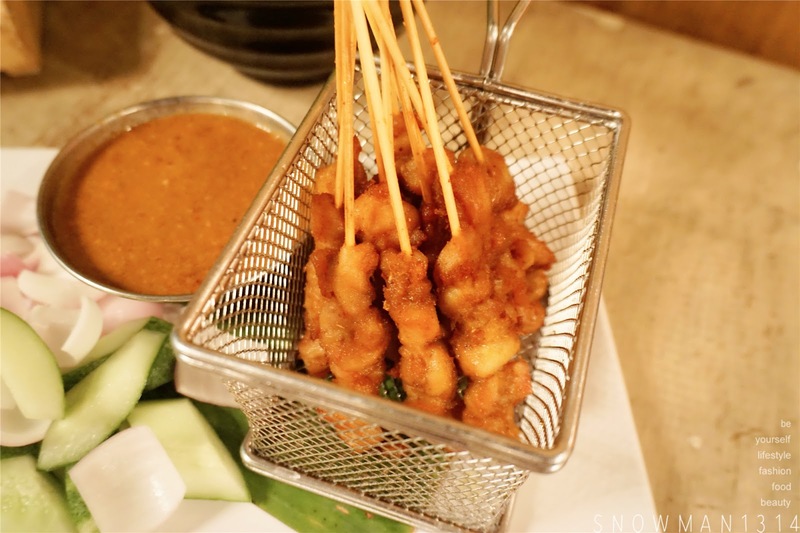 Chicken Satay that is grill to perfection! Is not the normal satay you get to eat beside the roadside, but it gives the sweet and fresh aroma taste of the chicken meat! 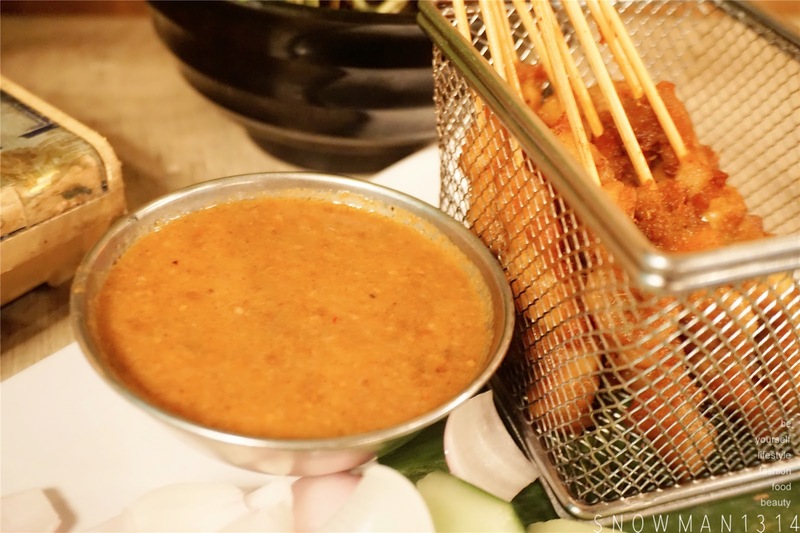 Remember to dip into the satay sauce when you enjoy this bucket of Satays. 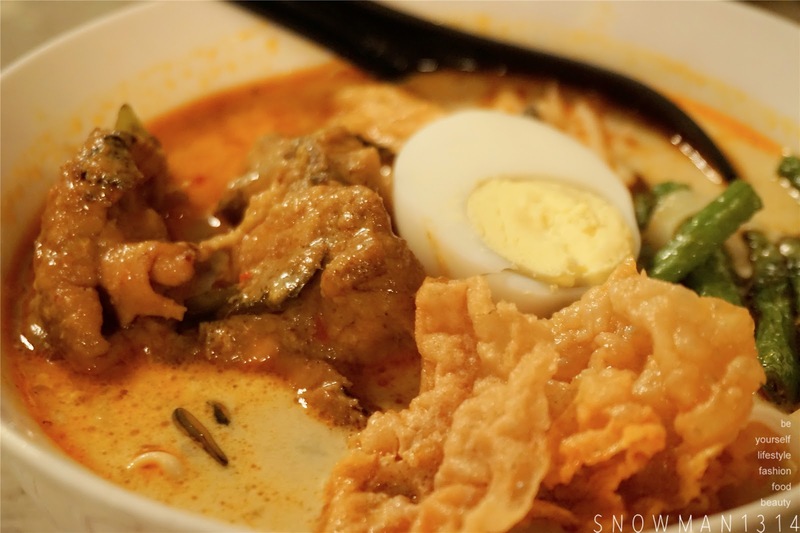 I was so in love with this curry laksa koay teow!! Definitely will order this again when I visit Reminisce again. The curry was so smooth and taste super good. 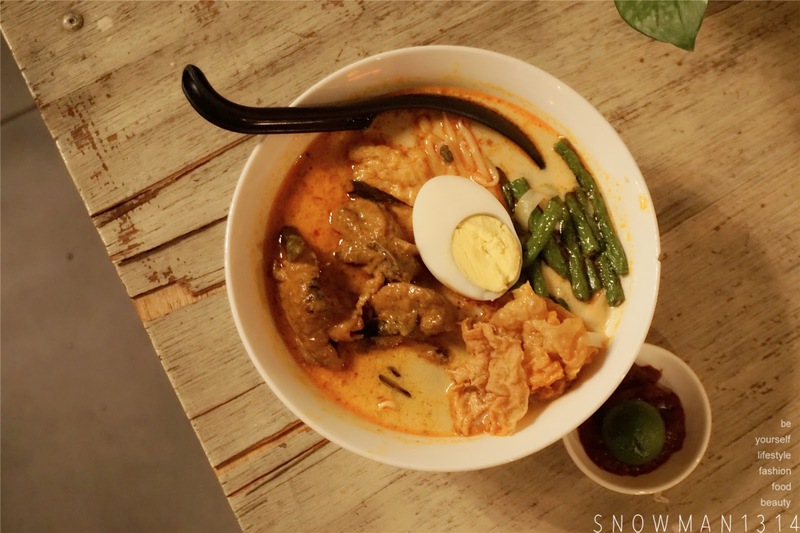 Not forget the dish inside the curry laksa is so satisfying, with curry chicken, vegetables, fried bean curd serving together with the kuey teow. 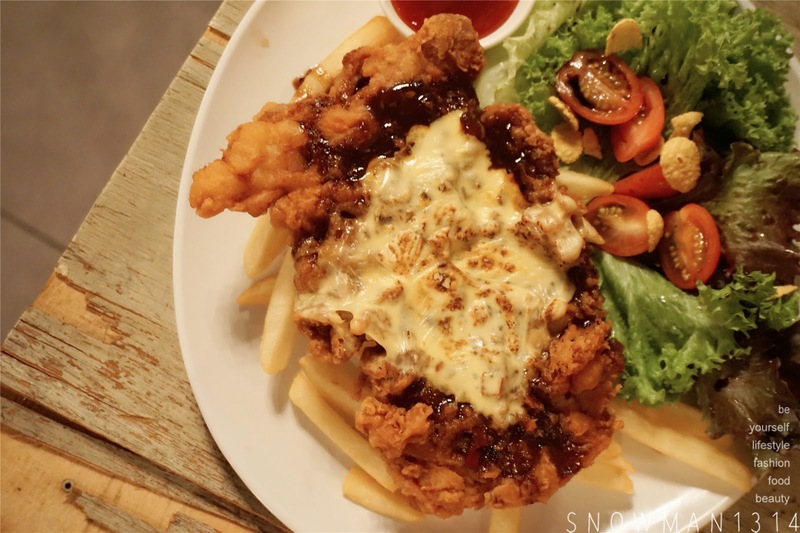 Cheesy crispy chicken chop with fries & condiments. Choice of sauce: black pepper or white mushroom sauce. 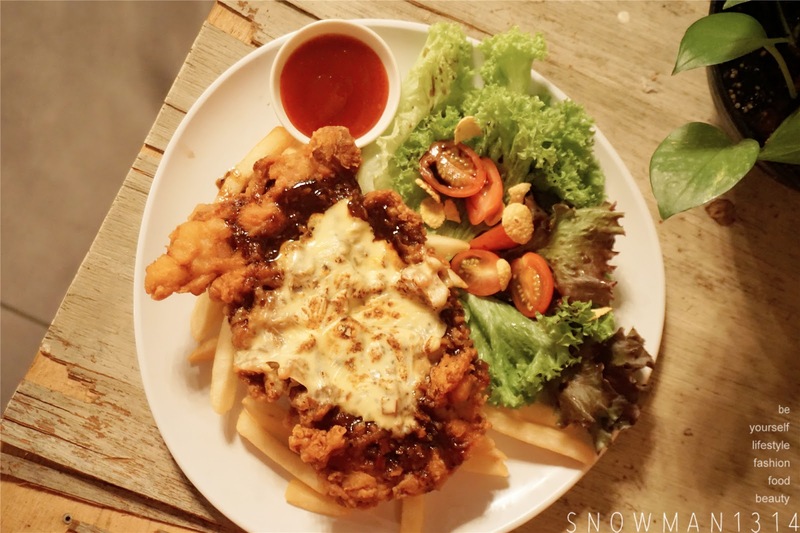 Another yummy serving chicken chop we have tried! This is more to crispy texture and the previous is more grilled serving. Is best to eat when the serving is still hot too. Crispy from the outer and juicy chicken when you eat it. 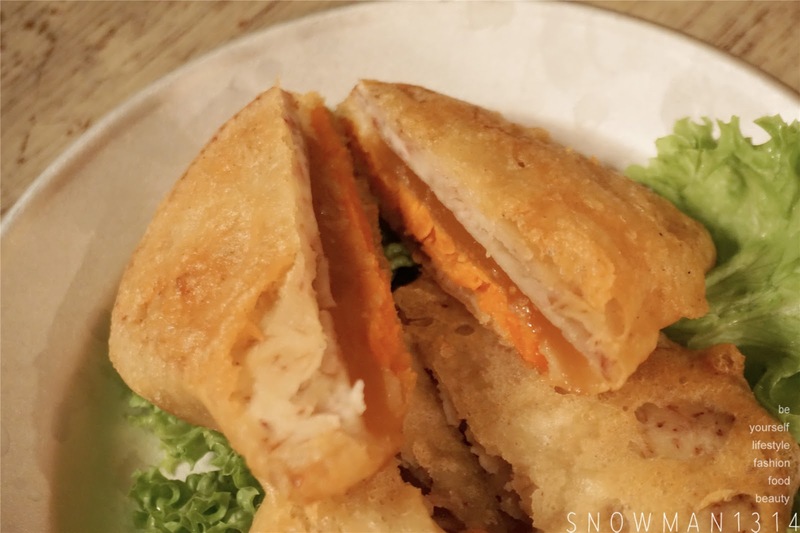 Crispy “nian gao” with yam & sweet potato. I miss this when I am an adult! 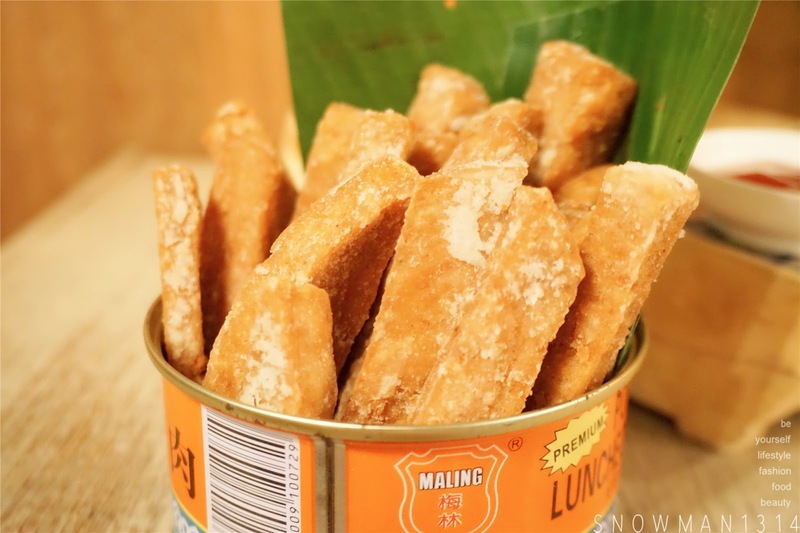 It was really hard to find crispy nian gao in KL nowadays. But fret not you can try it now at Reminisce. 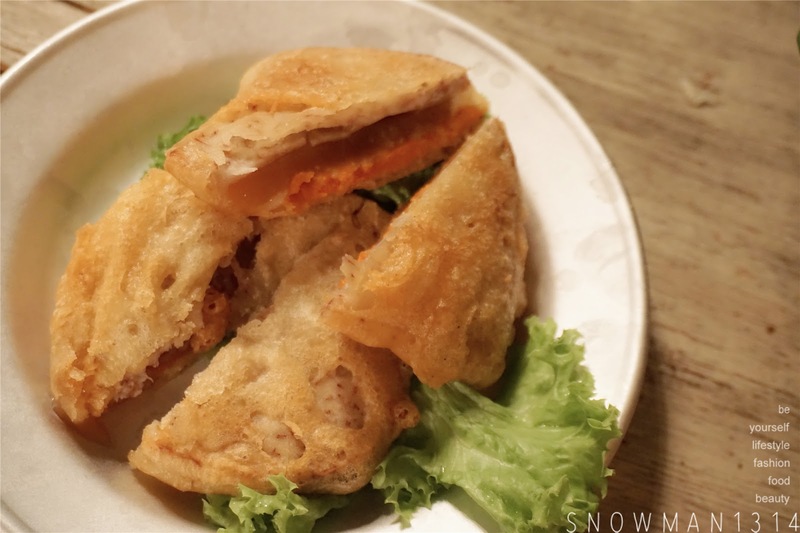 The nian gao is extremely crispy when you eat it, but the filling is so soft and just melted in your mouth!! The feeling is so satisfying when you eat this. 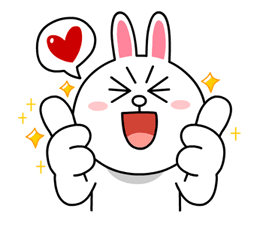 Highly Recommended ya!! 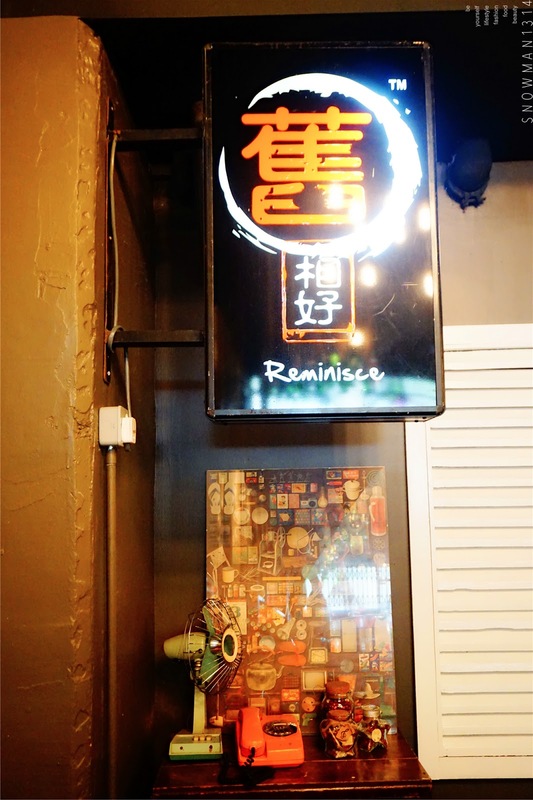 Definitely, a journey back to childhood memory when dining at Reminisce. i think the price is very reasonable. love their presentation and whole deco as well! Compare to the food portion it was really worth it!! 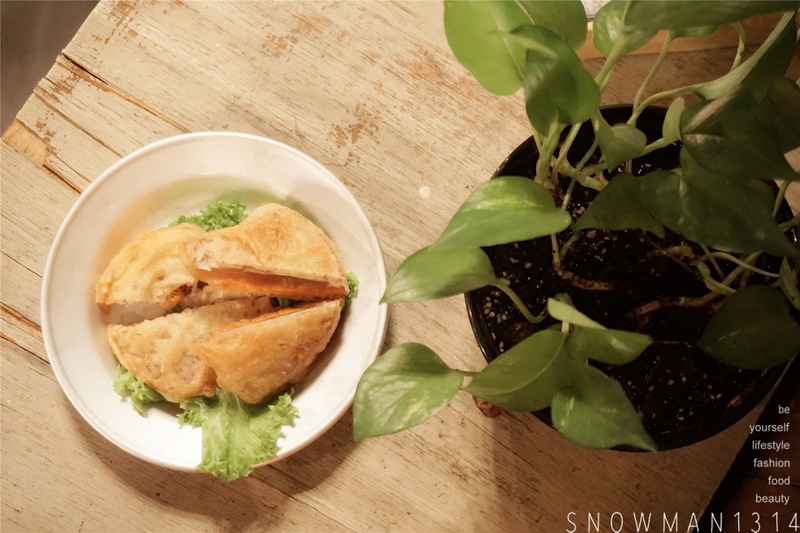 Wow, their cafe name really match with their food! It brings back a lot of childhood memories, next time gonna try out this cafe! all the dishes serving here look big and appealing. I want to try their grill satay! 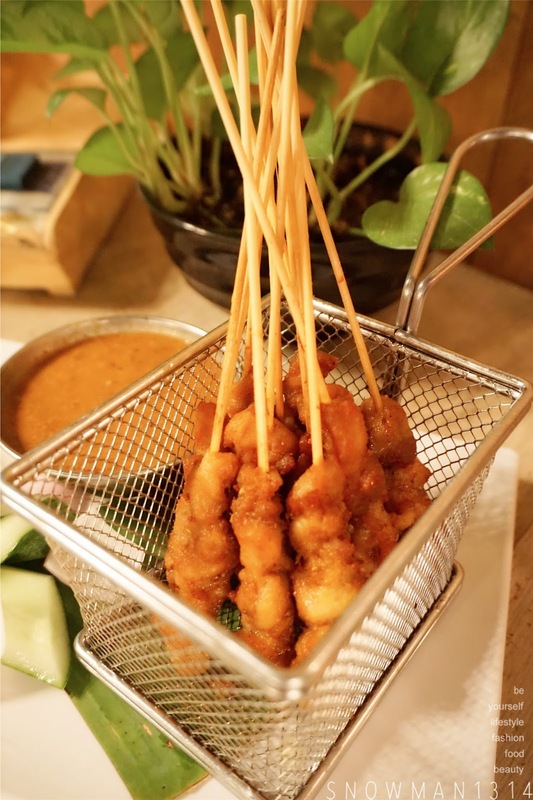 Never try any grill satay before. Just that the price could be a bit to expensive though. 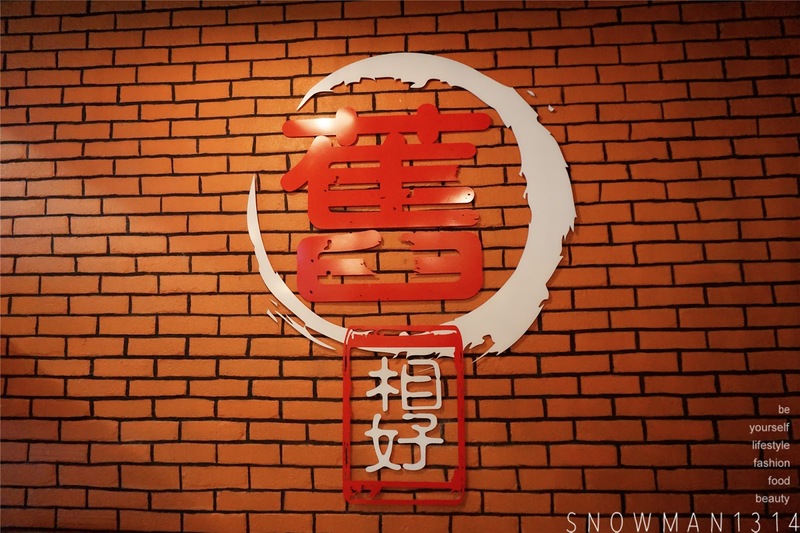 One more place to go whenever I am in mid valley! Yes it was =D I feel that it match with the food portion when they serve!! Yeap I love the deco too! wow. 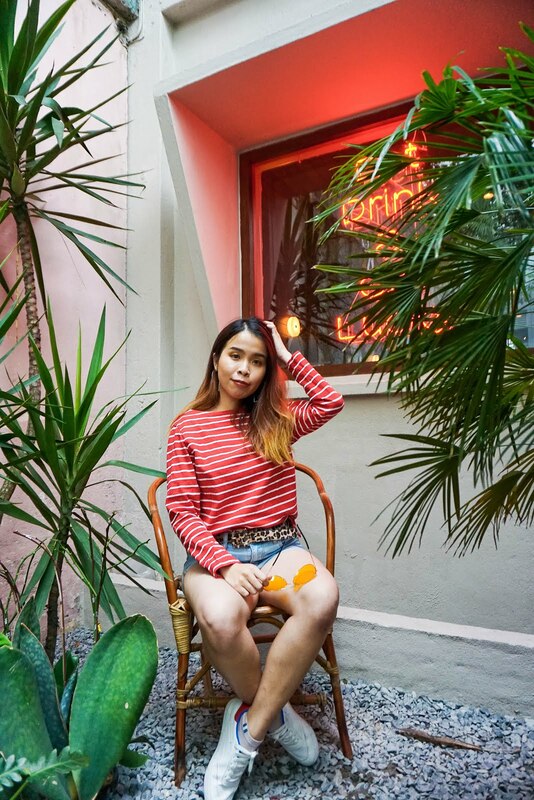 nice environment, its really reminisce of childhood memory.... and the foods look yummy. This is really old school. 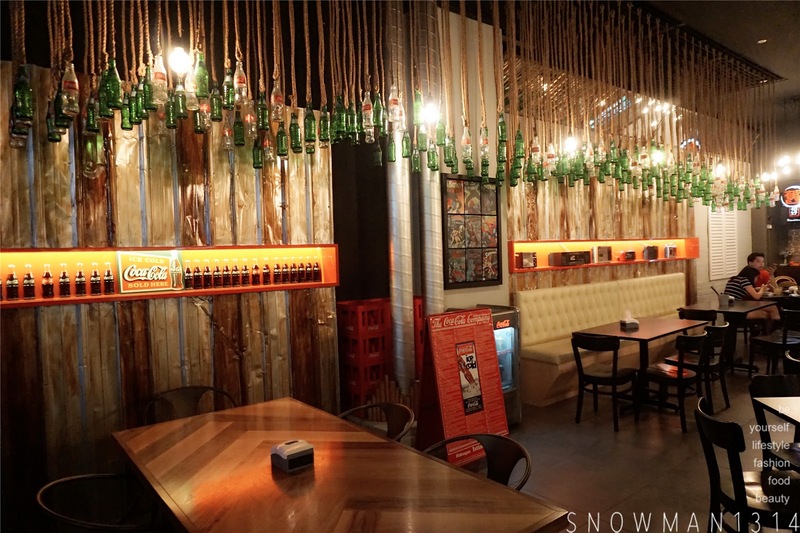 I like how the Coke bottles are used as decor. Yes I know! I love the coke decor too!! i dine in here before ! The stuff sold there really recall my childhood memories ! I always passed by this place but haven't visit yet. Thanks for sharing this. Omg! their food is so tempting. I am eye at their Signature-pan fried chicken chop with pumpkin gravy. Yes it was =D Food was really nice too! 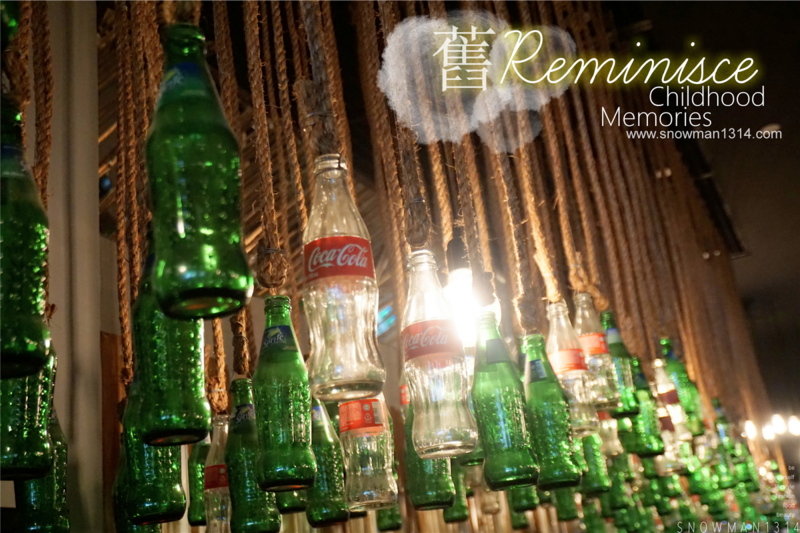 love the interior of this cafe and i also love how they recycle the coke bottles and made it into a decoration. I love the interior its so chic and homey, and their foods looks yummy! Merry Christmas Sharon!!! Food looks so nice, especially the luncheon meat and butter pork belly. Cant wait to try it myself.